Nigerian President Muhammad Buhari will not be attending the launch of a cleanup operation for oil spills in the Niger Delta. Buhari was due to make his first visit to the Niger Delta—a major oil producing region in Nigeria —on Thursday to inaugurate a $1 billion initiative to clean up areas affected by oil spills in Ogoniland. But the president abruptly withdrew from the trip on Thursday and will be represented by Vice President Yemi Osinbajo, according to Sahara Reporters. No official reason was given for the cancellation andNewsweek contacted several presidential advisors, none of whom responded to requests for comment. Read also:BREAKING: THE AVENGERS CALLED RADIO BIAFRA NOW!!! 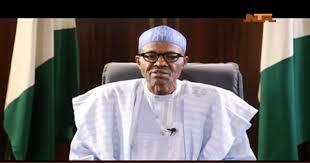 : BUHARI DO NOT STEP FOOT IN BIAFRA LAND OR GO SIGN YOUR DEATH WARRANT!!! A newly formed militant group, calling itself the Niger Delta Avengers (NDA), has undertaken multiple attacks on oil pipelines and facilities run by international companies, including Shell and U.S. firm Chevron, in recent months. The attacks are partly responsible for a fall in Nigeria’s oil production of 800,000 barrels per day. An anonymous man claiming to be a member of the NDA claimed that President Buhari’s life would be under threat if he visited the Niger Delta, IBTimes UK reported, in a call to U.K.-based underground radio station Radio Biafra. The director of radio biafra Nnamdi Kanu, was arrested by Nigerian security forces in October 2015 and currently detained and awaiting trial for treasonable felony. The NDA has stated the release of Kanu as one of its aims. Pro-Biafra activists have clashed with Nigerian police and military in parts of southern Nigeria, including areas of the Niger Delta. Ryan Cummings, director of African risk consultancy Signal Risk, says that Buhari's decision to pull out could be linked to security threats from both Niger Delta militants and pro-Biafra activists. "Both groups oppose the Buhari government and the concept of the Nigerian state," says Cummings. Pro-Biafra activists are calling for an independent republic of Biafra in southeast Nigeria, while the NDA and other militants have called for greater autonomy in the Niger Delta. Cummings points out, however, that last-minute cancellations are "not uncharacteristic" of Buhari. The Nigerian president pulled out just before a working visit to the commercial capital Lagos in May due to "scheduling difficulties."